It was blazing hot in Chicago this week, and looking at the 93 flashing on the bank sign alternating with the unchanged-since-daylight-savings-so-it-is-still-an-hour-off time, I cringed thinking of when it'll be really hot, and really humid. All I could think to do was slink over to the community garden down the street, steal some herbs and make mint juleps. NOW, it should be said that I didn't actually steal the mint. There's a sign on this tiny garden of about a dozen plots that lists the DOs and DON'Ts, including things like "DO enjoy the garden" but "DON'T drunkenly vomit in the garden". Seems like "DON'T take any plants or herbs or vegetables unless you've grown them" is a given--but the sign actually has taking herbs along the side of the road as a DO! But still, I felt weird about it, like I'm being set up for the crime of crimes, taking a deliciously aromatic weed like mint. So, on Sunday, under the guise of walking a rambunctious wiener dog, I sauntered by in hat and sunglasses with the hopes of snagging some. Alas! The whole gardening club was out in full force, and I lost my nerve, certain that a dachshund trampling the lettuce patch while I sheepishly tried to snip mint would be frowned upon. The next day I gathered my courage and returned--sans wiener dog--relieved that no one was there. I scanned the sign again to confirm that I wasn't being an herb-sucking leech of society, then bent down and started clipping. I'd gotten a decent load, when I heard a voice say, "what are you making?" I started, instantly transported to the mischievous lilac summer days of my youth, sure to see a scowl and a set of crossed arms in front of me. Half-written stories of excuse whirled through my mind, yet I somehow stumbled out "mint juleps" as I met the eyes of my exposer. Instantly I could see it was okay--everything was all right--and yes, in fact, the community mint meant community mint. Phew, I thought, and had an excellent conversation with her; she is one of the gardeners who has a plot there and was enthusiastic as all get out about my using the herbs. I confessed my apprehensions, and was assured no crime had been committed. I felt silly about the whole thing but then was told that there actually is a thief in the neighborhood; a mysterious, well-gardened lady who really knows her plants, stealing a fig tree and more. I promised to do my part and keep a look out. At any rate, I shook off the social rust of wariness the city inevitably puts back on me over a long winter and learned a bit about what was being grown in the garden. A sack full of mint in my hands, I returned home and crushed a bunch of ice. I rinsed the mint and muddled it with sugar in a pewter cup and packed that ice over it, a mountain for the streams of sweet bourbon to run through. 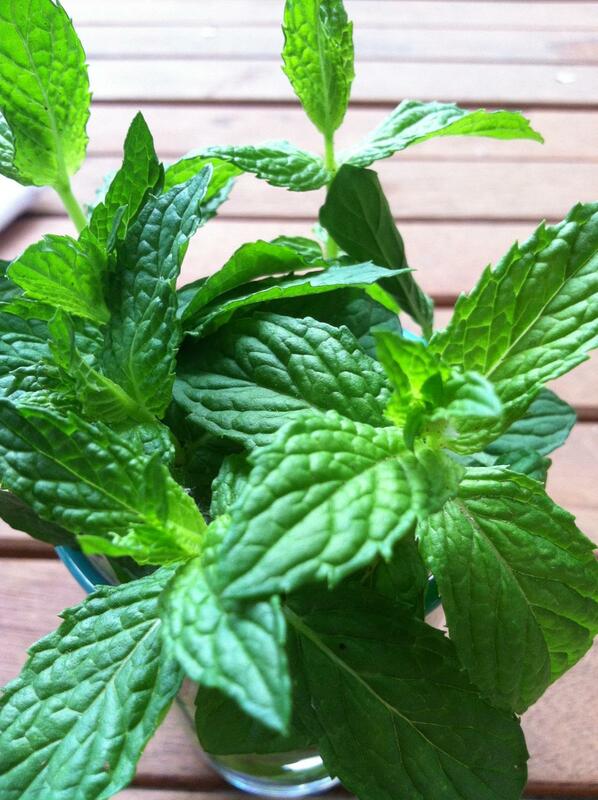 A slight stir and more mint for garnish, slapped one or twice to activate its mojo, I sat back on the porch with that layer of sweat, or humidity, or a combination of both sticking to my skin and let the julep do its thing. The below vision of the poetic bartender from our soulful south filled my head with the story of the mint julep; and the diesel air, concrete and fear of garden thievery flowed away.